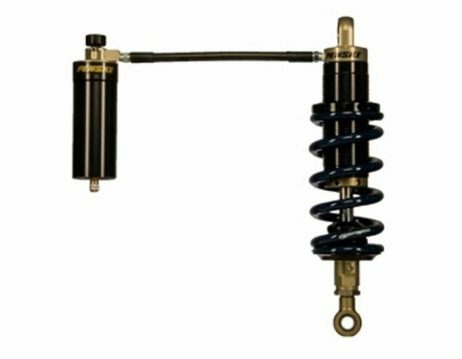 Penske Racing Shocks announces the new 8300 Series – Remote Reservoir Damper. Based on the ever popular and highly successful 8100 series, the 8300 provides new dimensions of adjustability and versatility to the professional racer and the high-end aftermarket customer. Its modular design allows the use of piggybacks where remote versions are not desirable or feasible. The New compression adjuster features a new adjustable parabolic needle bleed bypass of a conventional shim stack and piston carried over from the 8700 series dampers. This results in 16 clicks of adjustment with enhanced linear steps between settings. As the latest offering from Penske Racing Shocks, the new 8300 Series damper sets the standard in entry-level, double-adjustable shock absorbers in terms of performance, quality, and value.